What Do Sales and Marketing Leaders have to Say about the Salesforce Analytics Cloud? Recently, VentureBeat dropped news that Salesforce.com is rumored to announce its Analytics Cloud at Dreamforce in a few weeks. Data and predictive analytics are our lifeblood, so we thought it would be interesting to round up commentary from the industry. Here’s what our sales and marketing experts had to say. “An early knock on CRM systems was that they required lots of effort to enter customer information in, and it was close to impossible to get any meaningful information out. Systems have evolved, and a new generation of apps and services are allowing CRM systems to capture customer information more seamlessly, largely through integrations with social networks, transactional systems, external data services, and mobile platforms. The explosion of data has given birth to a new generation of analytics providers like Good Data, Birst, Tableau, Domo, Qlik and Bime. Salesforce has always been “good enough”, but analytics is hardly an area they’ve been known to excel in. 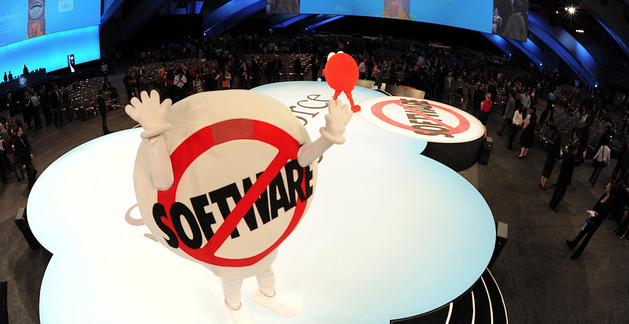 The pending announcement of the Salesforce Analytics cloud would be interesting. As Benioff continues to evangelize the amazing opportunities that will be coming from the internet of things and internet of customers, it only makes sense that as you connect more things, you must increase your capabilities for not only enabling those ‘things’ to connect and communicate, but also to understand what’s happening and where new opportunities might be. Here’s where an ‘analytics cloud’ would fit.